Being diagnosed and living with mucopolysaccharidoses is life changing. The Austrian MPS Society, MPS Austria, is an organisation which supports families and their individuals suffering from the condition. 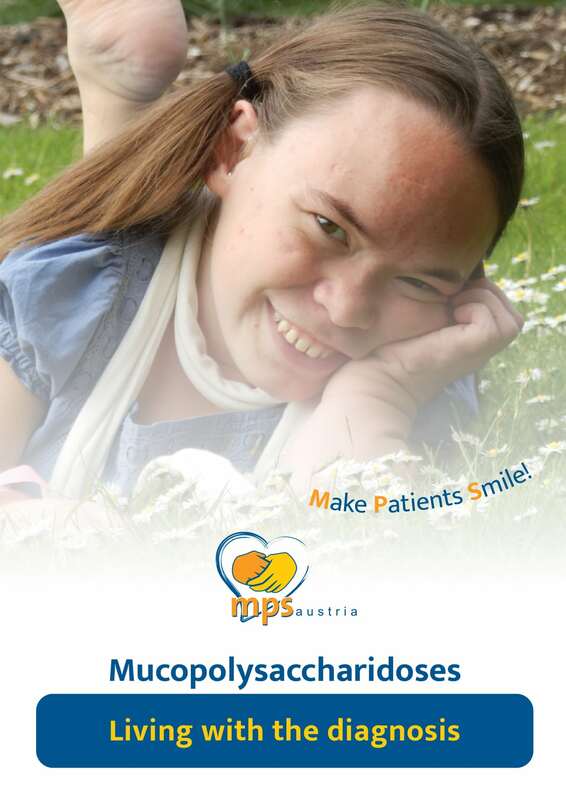 In this booklet, the Austrian MPS Society provides a detailed look into the condition, as well as highlighting the various challenges that face those afflicted with mucopolysaccharidoses and their loved ones. The Austrian MPS Society was founded in 1985 and is the only Austrian charity working in this area. They work in many ways to support all those affected by the condition to increase their quality of life. Mucopolysaccharidoses is a group of rare, inherited, incurable metabolic diseases caused by disorders in the metabolism of the lysosomes of each cell. It occurs when one of the 12 necessary enzymes responsible for the continuous process in the body for replacing used materials and breaking them down for disposal is missing or barely effective. In some types of MPS, changes to the nervous system can result in severe neurological symptoms, as well as epilepsy and intracranial pressure. What does the MPS Society do? Research – Globally, the MPS Societies are dedicated supporters of clinical research, diagnostic tools, and understanding of the disease on the whole, both financially and by staying in contact at congresses and conferences.